See Cairo’s ancient sites, antiquities, and the colorful Khan Al-Khalili bazaar on a full-day, private tour from Alexandria that offers the flexibility of a personal guide. Follow in the footsteps of pharaohs and explorers at the Giza Pyramids and Sphinx, tour the massive collection of treasures at the Egyptian Antiquities Museum, then shop for souvenirs in a historic market. This 12-hour, private tour includes entrance fees, lunch, and door-to-door transport from Alexandria. Start with 8am pickup at your Alexandria hotel, and begin the 137-mile (220-km) trip to Cairo in a private vehicle. Make the first stop of the day at the Giza Plateau, where the pyramids of Cheops, Khafre, and Menkaure stand at the edge of the desert. Continue to the nearby Sphinx, which was carved directly from bedrock, and commands perfect views of the pyramids. Take a break for lunch at a local restaurant, then visit the Egyptian Antiquities Museum, which houses the world’s largest collection of pharaonic antiquities. Visiting with a guide ensures that you’ll discover the highlights of the many exhibits, including the treasures found in Tutankhamun’s tomb in the Valley of the Kings. The final stop of the day is the Khan Al Khalili bazaar, the perfect place to browse for Egyptian souvenirs. Wander through aisles of stalls stocked with leather goods, textiles, perfume, and spices, and brush up your bargaining skills with help from the guide. 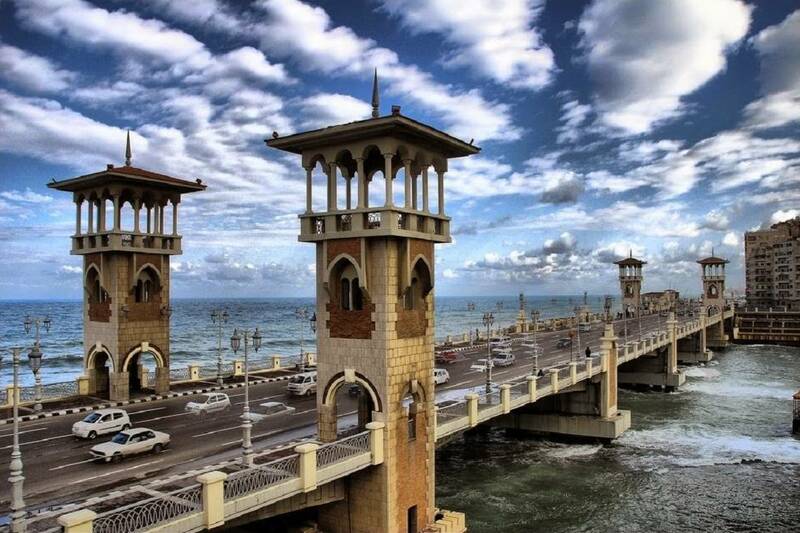 This 12-hour tour concludes with return transfer to Alexandria, and drop-off at your hotel.